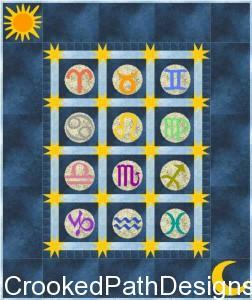 The Sun, the Moon & the Stars zodiac quilt in EQ7. Not sure about the light blue sashing. Maybe more of a medium blue value against the darker background fabric? I am using mostly Stonehenge fabrics in this one. 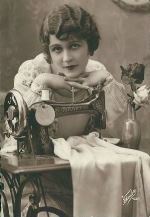 I would like to use the new constellation fabric from Northcott for backing on this one. I think it would be a fun backing.